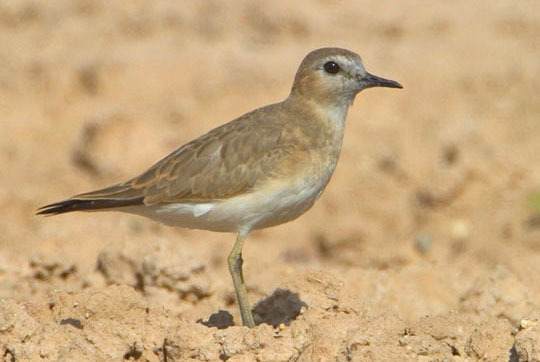 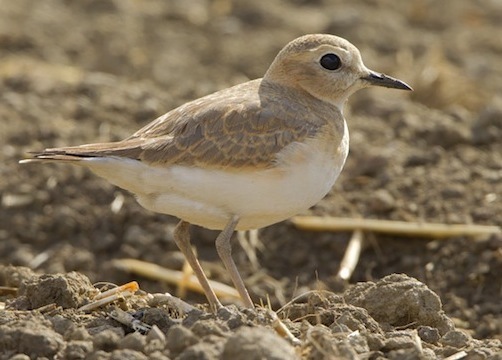 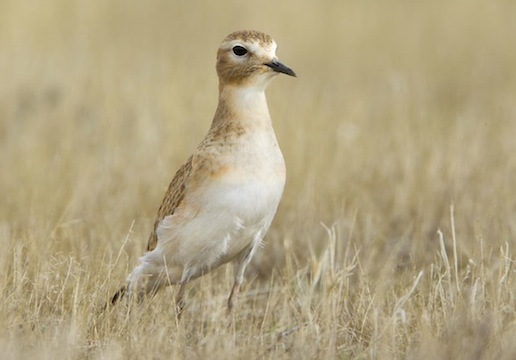 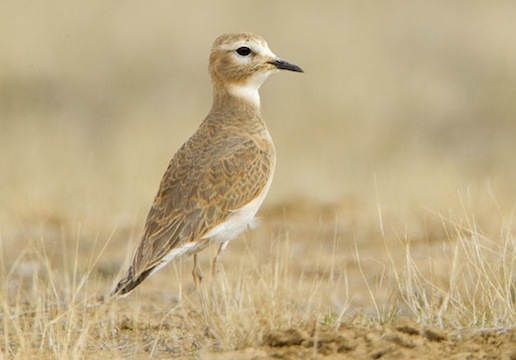 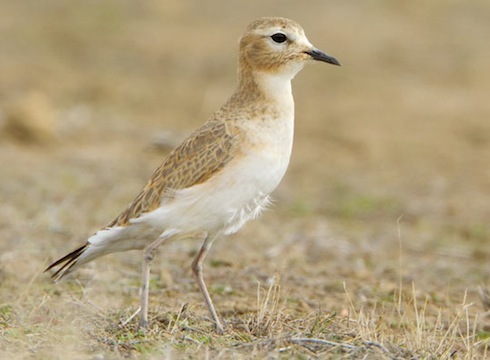 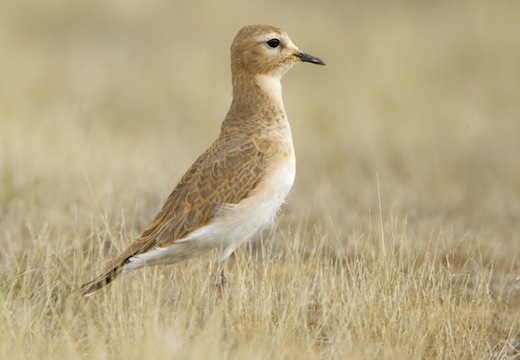 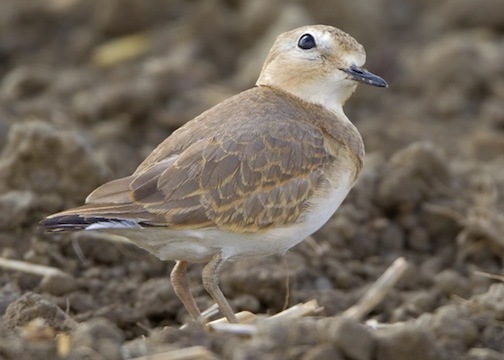 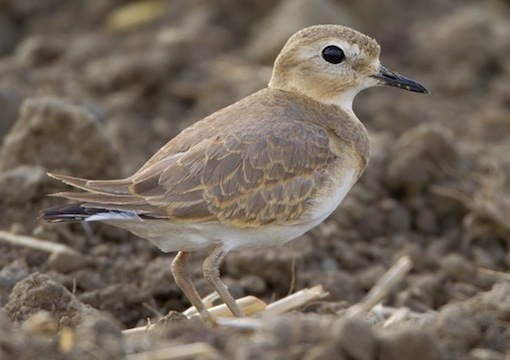 Mountain plovers are sleek, earth-toned, fast-flying birds that breed in upland shortgrass prairies and intermountain valleys and winter in the American Southwest. 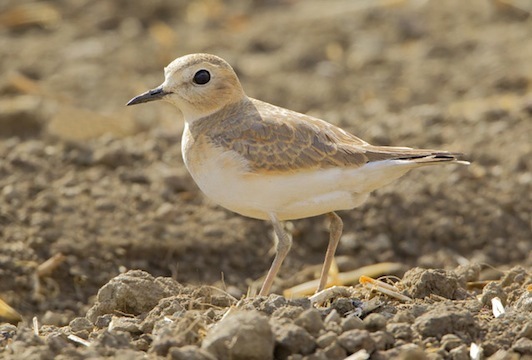 Their numbers are declining, probably due to loss of habitat (both breeding and wintering) to development, farming, etc. 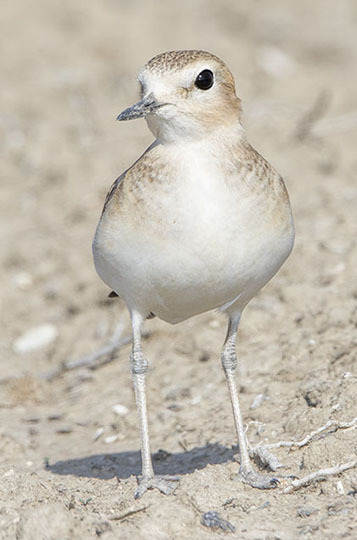 A substantial part of the population winters in southern California's Imperial Valley, and some of these birds were photographed near Niland. 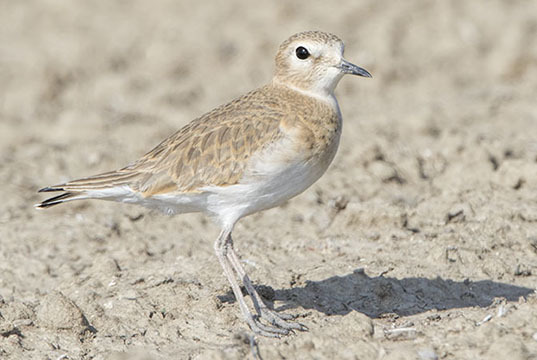 Others were in a huge, freshly-plowed field in the San Jacinto Valley southeast of Riverside. 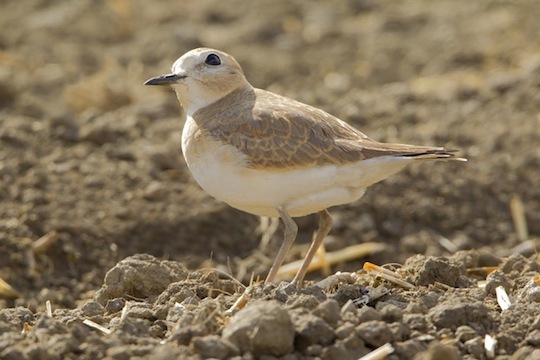 Normally mountain plovers are rather shy; these were surprisingly confiding but it amazed me how easily they could vanish simply by squatting behind a few dirt clods. 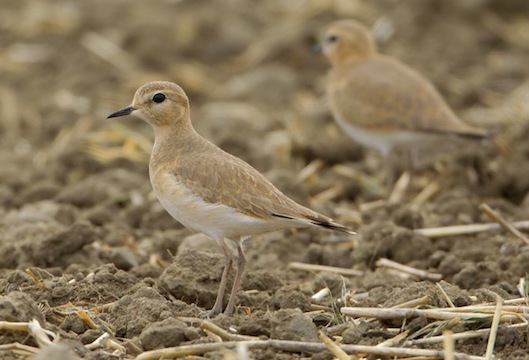 To get these photos I approached slowly on foot, and if I didn't get too close (in which case they would move away a few feet), they sat quietly, occasionally peering up into the sky. 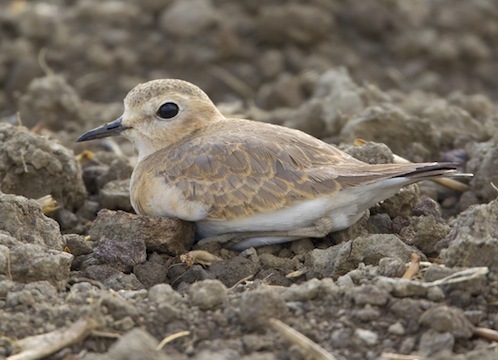 More pictures of flocks at this location are here. 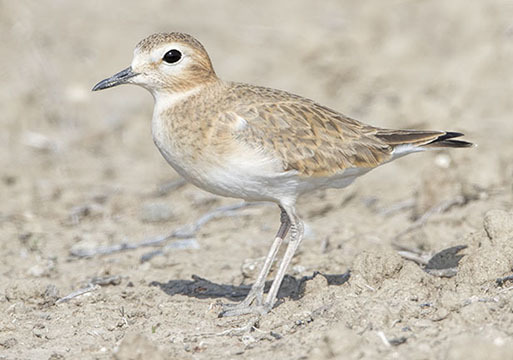 Another bird was photographed on the grassy Carrizo Plain, just west of the San Joaquin Valley in southern California; it was skittish but eventually approached close enough to my car for good images.